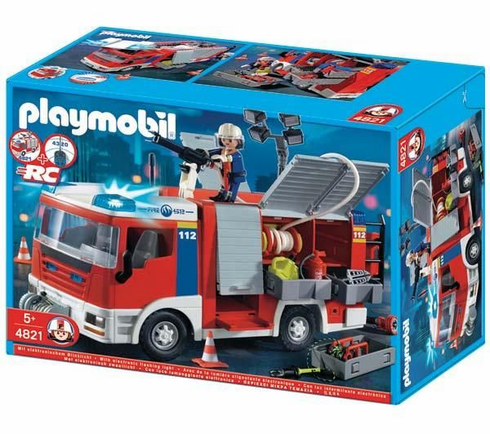 The new Playmobil Fire Engine answers the call in no time! Includes one firefighter, fire monitor, working rescue light, removable roof and tons of accessories. Make this Engine remote control by adding RC Module 4320.